You cannot always trust your insurance company to honor the terms of your policy and pay you when you submit a legitimate claim against this policy. In general, this is because insurance companies – like any business – are in the business of making money and maximizing their profits; unfortunately, however, this effort can come at the cost of an insurer’s legal obligations (as stipulated in contracts with policyholders). In this three-part blog, we will point out some of the most common signs of insurance bad faith that policyholders need to know. Being aware of these all-too-common instances of bad faith will be crucial to holding unethical insurance companies accountable and, ultimately, to helping policyholders get the payouts they deserve. 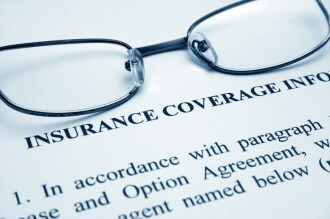 Has your insurer told you that you don’t have an active policy after you’ve filed a claim? This may be a sign of bad faith. Here are some other signs of bad faith. If you believe that you have been subjected to insurance bad faith, the Littleton insurance dispute lawyers at Bahr and Kreidle are ready to fight for you and your rights to compensation. Don’t hesitate to contact us for more information about your rights. 1. “You don’t have an active policy,” says your insurer. You have been paying your premiums on time. Your insurer has been taking your payments. Your insurer has not given you any notice that your policy has been canceled. Don’t accept your insurer’s claim that you don’t have an active policy when the above-mentioned facts are the case. Instead, stand up to your insurer (this will be most effective when you have an experienced attorney on your side). 2. “Your policy doesn’t cover the accident or event in your claim,” says your insurer. Carefully review the terms of your policy (it’s a good idea to keep a copy of this when you renew your policy annually). Find the portions of your policy that apply to your claim. If your insurer is still denying that you are covered for the event associated with your claim, it’s time to contact an experienced attorney who will know how to fight insurers and help you get the payouts you deserve. For more important info about some of the most common signs of insurance bad faith, don’t miss the upcoming second and third parts of this blog. Since 1983, the Littleton insurance dispute attorneys at Bahr and Kreidle have been fighting on behalf of injured people and aggressively standing up against injustice, inequality and intolerance. Our lawyers are committed to being advocates for our clients’ rights, helping them hold negligent parties responsible and ultimately helping them get the highest possible awards for their injuries and losses. If you are fighting with an insurer over a payout on your valid claim, our Littleton insurance disputelawyers urge you to get more information about your potential case and rights by meeting with us for a free, no obligations initial consultation. To set up a meeting, call us at (303) 794-7422 or email us using the form on this page.